Most will agree life can be difficult sometimes. Between the balancing act of school, work, friends and family, life can become hectic or for some, just plain overwhelming. Often we feel like we have to have it all together all the time, but sometimes it is helpful to just have someone to talk to outside of our circle. 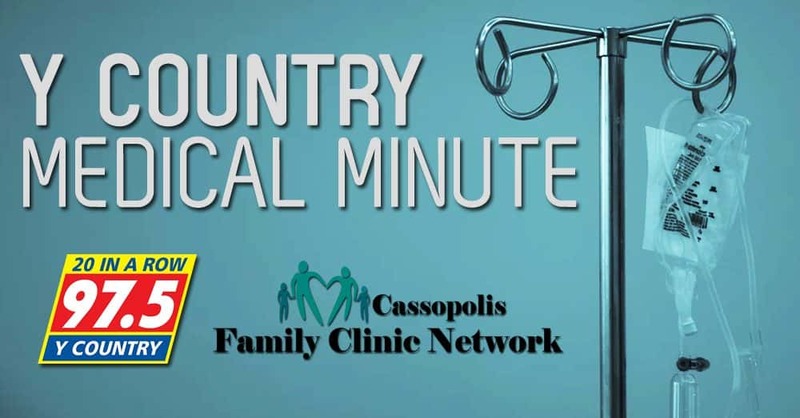 This week’s Y-Country Medical Minute quickly discusses why it’s ok to ask for help. Counseling services provides a safe and private setting to address personal concerns or problems that cause us distress. According to the University of Michigan, those who have utilized counseling services have reported a reduction in distress after their first meeting while for others it takes additional sessions. Whether the issue be anxiety, academic stress, loss of a loved one, stress from work, relationship troubles or other, counseling services give individuals a safe place to talk and work through their distress. Most employers have an Employee Assistance Program that is often free for employees to utilize. Contact your Human Resources department for more information. Community Health Centers – Cassopolis Family Clinic Network has a team of Behavioral Therapists on staff to help individuals with their mental health. Individuals must be or become and established patient with CFCN and receive a referral from their primary care physician. CFCN provides behavioral health services for those who are uninsured, covered by Medicare and Michigan Medicaid, along with most commercial insurances.